March 5, 2019 December 16, 2018 by Mark D.
Reverse osmosis is the most effective and cost effective way to remove fluoride from water. There are three predominant ways to remove fluoride water, Reverse Osmosis, or Activated Alumina filters, or Deionizers. Studies have shown that reverse osmosis maximizes the reduction of fluoride levels, although it is affected by the concentration of the fluoride contaminant. Experiments demonstrate that fresh Reverse Osmosis filters will reject fluoride ions typically higher than 98%, but gradually lose their effectiveness as the RO filter becomes fouled (clogged) through usage. 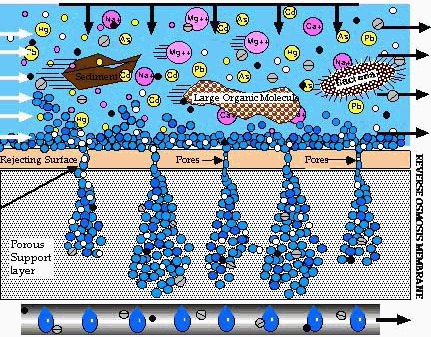 Reverse osmosis (RO) membranes have the smallest pores of all filtration media. Using pressure to drive the process, this pressure reverses the natural osmotic pressure and drives water through the membrane and away from dissolved molecules of contaminants. RO membranes can remove compounds in the 0.0001 to 0.1 micron size range, which is thousands of times smaller than a human hair. How Effective is Reverse Osmosis at Eliminating Fluoride? The effectiveness of reverse osmosis to filter toxic fluoride from water depends on its ability at preventing fluoride molecules from passing through its microscopic pores. RO filters are manufactured to precision tolerances, but the size of the pores in the filter are what ultimately determine what can physically pass through it. The size of the fluoride molecules are generally too large to pass through the even smaller pores of the RO filter. Depiction of a Reverse Osmosis Filter in action. Although it plays a much less of a role, another factor in a contaminants ability to penetrate the RO filter is ionic diffusion. That is, to diffuse through an RO membrane, the negatively-charged fluoride ion must become associated with, or dissolved into, at least one component of that membrane. The advanced materials used in modern RO membrane manufacture does not allow fluoride compounds to bond with the atoms and molecules that make up the membrane, preventing them from passing through it in this manner. Because RO is far more cost efficient than evaporation and heating methods, it’s used commercially in seawater desalination and large-scale maple syrup production. RO is also used to concentrate fruit juices and maple syrup, cheese whey, ice making, car wash water reclamation, and many more industrial processes. Commercially, RO membranes operate at pressures as high as 400-1200 psi (27.6-82.7 bars). Most Residential Home Reverse Osmosis systems are point-of-use (POU) units placed beneath the kitchen sink to treat water used for cooking and drinking. These RO filters operate at normal household water pressures of 40-80 psi (2.8-5.5 bars), but are just as effective in removing many different contaminants, including fluoride. If you’ve decided that you want to reduce or remove fluoride from your household’s drinking water, a residential, point of use, reverse osmosis system is your most effective and least costly way to do it. A residential Reverse Osmosis system can remove 85-98% of fluoride in water. Which are the best residential reverse osmosis systems? Visit our Reverse Osmosis page. Why Remove Fluoride From Our Drinking Water? Toxic Sodium Fluorosilicate is likely added to your water. There is no known nutritional benefit to our bodies from the ingestion of fluoride or from the toxic chemicals used for fluoridating water. Fluoride is an extremely neurotoxic chemical added to drinking water in most parts of the United States and slightly less than 50% in Canada. It interrupts the basic function of nerve cells in the brain. This causes docile and submissive behavior, attention deficit disorders and it devastates the IQ of children. Avoiding consumption of fluoridated water is especially critical for infants and small children. Healthy adult kidneys excrete 50 to 60% of ingested fluoride, the remainder accumulates in the body. Fluoride is known to calcify bone and pineal gland tissues. Infants and children excrete less fluoride from their kidneys. Up to 80% of ingested fluoride is permanently calcified into their bones The effects of fluoride poisoning are cumulative and steadily increases over a lifetime. Fluoride charged ions occur naturally in minerals, rock and soil and often finds it’s way into local ground water. In very low concentrations, it can pose little harm to us, but in some regions that are rich in fluoride-containing minerals, concentrations of 10 mg of fluoride per liter in the ground water can become dangerous to drink unless filtered. 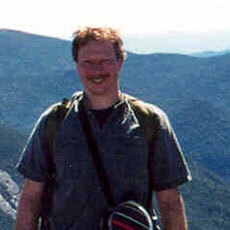 In some areas much higher concentrations can be found. Excessive amounts of fluoride will produce skeletal fluorosis, the mottling of bones and teeth. This is true whether the source is from naturally occurring sources or from artificially adding fluoride compounds from industrial waste into municipal water. Elevated fluorosis can occur with as little as 3-6 mg of fluoride consumed per day. This leads to tooth enamel loss and pitting, which increases the risk of tooth decay and infection. Crippling skeletal fluorosis can occur when consuming large amounts of fluoridated water, in as little as 10 mg of fluoride per liter. There is clear evidence that increased risk of bone fractures occur when the total daily intake of fluoride is around 14 mg and above. Chronic exposure to fluoride in large amounts interferes with bone formation. According to Wikipedia, the lethal dose of elemental fluoride is about 5-10 grams for most adults, however, ingestion of fluoride can produce gastrointestinal problems even at doses as low as 10-15 mg for a 110 lb. (50 kg) person. The World Health Organization (WHO) guideline says, “Where the intakes are likely to approach, or be greater than, 6 mg/day, it would be appropriate to consider setting a standard or local guideline at a concentration lower than 1.5 mg/l.” Artificial fluoridation of water supplies, is usually 0.5–1.0 mg per liter of water. There is no difference in absorption between natural or added fluoride in drinking-water. We must protect ourselves from all sources of fluoride, not only from unintentional sources, such as ground water, but intentional fluoridation from toothpastes and by municipal water sources. The amounts added to drinking-water are such that final concentrations are usually between 0.5 and 1 mg/l. Despite the false claims by dental associations and governmental sources that water fluoridation is somehow beneficial for dental health, no valid proof exists that this is true. The facts are that the chemicals that are dripped into our water supplies as “water fluoridation” are highly toxic to us, but especially so to our children. 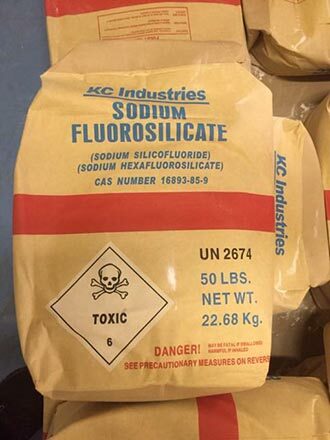 The compounds most used in “fluoridating” municipal water are Sodium Silicofluoride, (H3O) 2SiF6, and Hexafluorosilicic acid, Na2[SiF6], or sodium fluoride, (NaF). These are highly toxic compounds. Major scientific studies from around the world, have statistical evidence that fluoride exposure lowers IQ (intelligence quotient) in children. Want to make sure your drinking water is free from toxic fluoride?. Visit our Reverse Osmosis page to see the best home systems.